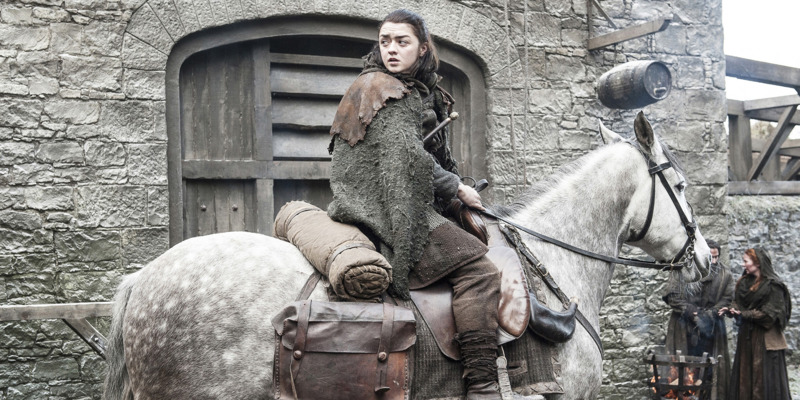 Maisie Williams has left Arya Stark behind and is focusing on a new app called Daisie. The “Game of Thrones” star launched Daisie in August alongside her business partner Dom Santry with the noble ambition of helping fight nepotism in the arts industries. Williams said she doesn’t think she’d get any investment if she took advice from firebrand Stark. Williams spoke to Business Insider after being named in the Tech 100, a ranking of the 100 coolest people in the UK tech industry. “Game of Thrones” star Maisie Williams is firmly leaving Arya Stark behind while she focuses on making a success of her new app, Daisie. In HBO’s monster TV series, which recently wrapped filming on its eighth and final series, Williams plays Stark as a firebrand force, with single-minded determination to achieve her aims. But she told Business Insider that Stark is not a good role model as she ploughs her energy into Daisie, an iOS app that has the ambition of making the entertainment industries more accessible to a wider pool of people. Williams, and her business partner Dom Santry, were in San Francisco in July talking to investors about Daisie and has already secured funding from undisclosed venture capital firms. Talks with other backers continue. 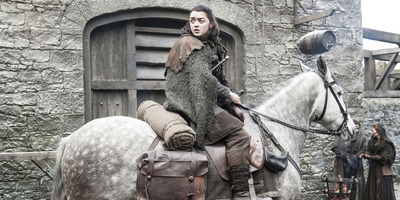 Helen Sloan/HBOMaisie Williams as Arya Stark. They have a noble ambition to help fight nepotism in the entertainment industries, giving users access to a network of creators that they would not have had otherwise. It will also give people access to special Q&As with stars, such as Maisie herself and Ed Sheeran. “I just think that it’s a shame that there’s such a lack of opportunities for so many people. Particularly people from where I came from… just had this fluke way in,” she said. Williams said she hopes Daisie will encourage people to share their talent. “Share what you have and share your gift with the world. I think in order to be successful you do need to open up and let people in and be critiqued and grow and learn and explore your arts,” she added.